The news, which comes courtesy of BBC tech correspondent Rory Cellan-Jones, reveals that Google's Senior Vice President Rick Osterloh has confirmed that the device will start shipping in Q2 2017. And, from what we can see here at T3 Towers, it is landing not a moment too soon. Amazon Echo, which we reviewed well back in December, as well as Amazon Echo Dot, have been out rather a while now and clearly begun to build up a solid early-adopter install base in the UK, with sales over the holiday season apparently seeing lots of units ship. The mainstream market in the UK is still untapped however, so if Google wants to make an impact it needs to do so pronto. Despite the confirmation of Q2 for units arriving, no mention was made on price in the UK though. Right now Google Home costs $129 in the US, which works out at £103, however when you start looking at other cross-Atlantic pricing we're guessing the real retail price will be close to £129. That is still £20 cheaper at the time of writing than Amazon Echo, however a full £80 more expensive than Amazon Echo Dot. 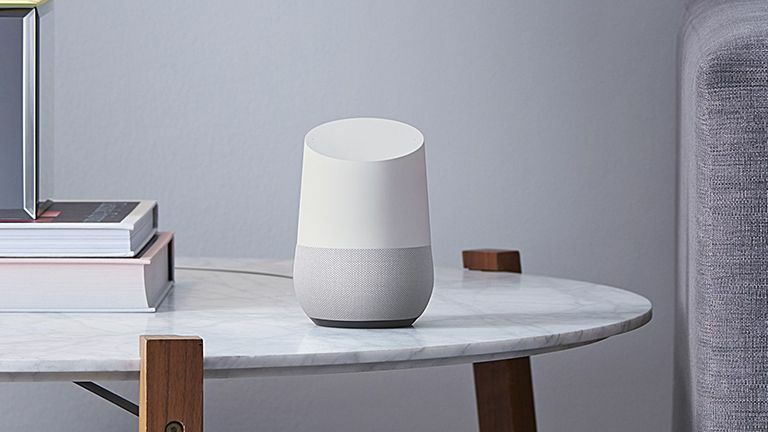 Either way, if you've been hanging fire for Google Home, it looks like you won't have to wait much longer.